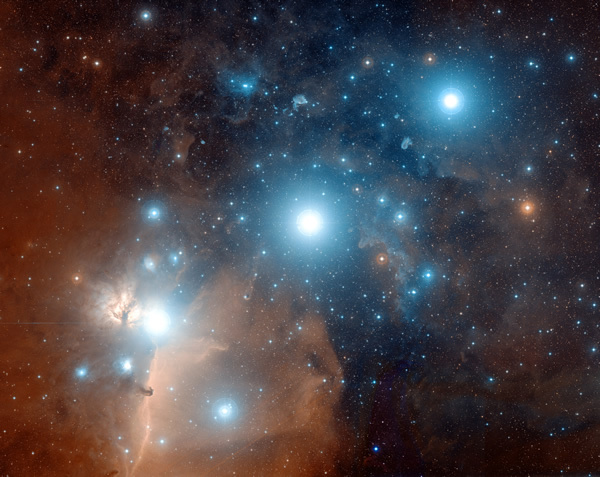 Mintaka (Delta Orionis), sometimes called 'Al Mintaka,' is the name of a star in the constellation of Orion. 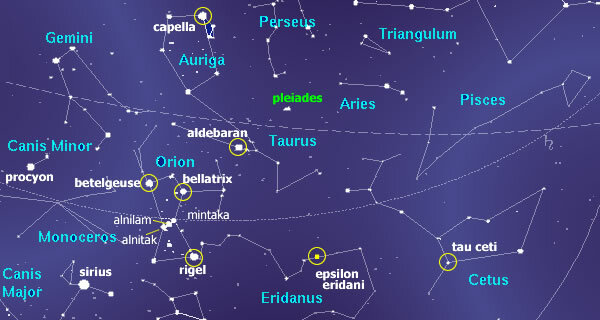 In the Northern Hemisphere it is the upper star in the Belt of Orion. It is also the brightest star in the Belt of Orion. It is about 900 LY away from us. Mintaka actually is a 'multiple star' and consists of 4 different stars. The main component itself consists of a close binary system, which has a third, distant, companion. A fourth star is located in between the binary system and the distant companion. (See Wikipedia for more information). For more information on civilizations that have been linked to Mintaka, see: 'EL' which, according to Solara, is the 'galactic' name for Mintaka.